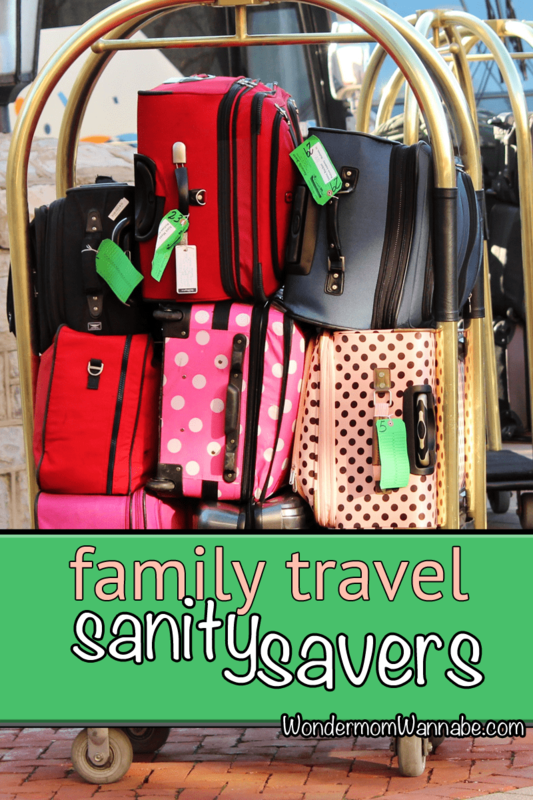 After hundreds of family road trips, I’ve uncovered several family travel sanity savers. The stress of traveling, coupled with days on end of being confined together in cars, planes, and hotel rooms can make the most angelic children trying on the nerves. Why Not Rely on Technology? Technology tries to help us by providing an endless assortment of video games, apps, and movies to keep our kids entertained. The only problem with the DSi’s, iPods, Kindles, and portable DVD players is that there is very little interaction between family members when they are engaged with these devices. And there is probably a small voice in your head that sounds like your mother, warning you that their precious little brains are turning into mush if they spend too long playing video games or watching TV. So, in the hopes of helping my friend preserve her sanity (and in an unprecedented act of planning ahead for my own summer travel plans), I have prepared this list of fun family travel games and activities to ward off the “Are we there yet?” mantra all too familiar to those of us who have traveled with kids. You can compete against one another or work as a team. Keep track by keeping a list or marking off states from a pre-printed list or map. Spot words starting with each letter of the alphabet in order, competing against one another or working as a team to get through the entire alphabet. Name things in a category starting with each letter of the alphabet. Categories can be whatever you choose. Suggestions: animals, foods, cities. You can play where each person has to come up with an item for each letter, or take turns so that the first person names one that starts with “A,” the second person names one that starts with “B,” etc. The person who is “it” thinks of a person, place or thing and everyone else gets to ask “yes” or “no” questions to figure out what it is. Whoever figures it out, gets to think up the next one. If no one figures it out after 20 questions, the person who is “it” can go again or choose who goes next. Each person picks a color at the start of the trip and must find x number of items that color during the trip. The longer the trip, the higher you’ll want to make the number. For short attention spans, 10 is a good choice, but you can play up to 100 with older children. Word Buzz: Choose a word at the beginning of the trip that will be the “buzz” word. Anytime the word is seen or heard (on billboards, on the radio, etc. ), you must say “buzz.” The first “buzzer” for each occurrence gets a point. The winner is the person with the most points at the end of the trip. Everyone knows this game and children as young as 4 can play easily. Rock beats scissors, scissors beat paper, and paper beats rock. In this 2-player game, players determine who will be “even” and who will be “odd.” During each turn, each player can hold up either 1 or 2 fingers then they must add both players’ fingers together and determine if the answer is even or odd to determine which player wins the round. 1, 2, 3, 4 … I declare a thumb war! Players grip same hands (right and right or left and left) by interlocking their fingers, leaving their thumbs free on top to battle each other in an attempt to pin down the opponent’s thumb for 3 counts. Players take turns trying to make each other laugh. The only rules are that the player trying not to laugh cannot close his or her eyes and the player trying to make the other person laugh cannot touch him or her. Players take turns humming a song while everyone else tries to guess what it is. The person who guesses first, gets to hum the next song. Players take turns adding sentences onto a story. The only rule is that the story must rhyme (e.g. Person 1: Mom left to go to the STORE. Person 2: And she just walked out the DOOR.). Wave at passengers in passing cars. If they wave back, they are sweet; if not, they’re sour. Players take turns asking each other “Would you rather……?” questions (e.g. Would you rather eat spinach every day for the rest of your life or never get to have dessert again?). Make up bingo cards that have items that you would normally see while traveling (e.g. stop sign, tree, cow, speed limit, state trooper). This works well on graph paper, but you can also use plain paper. Draw several columns of evenly spaced dots in an equal number of rows. Players take turns connecting any 2 adjacent dots together with a line. If a player completes a box on his turn, he writes his initial in the box and gets to draw another line. The winner is the person who has the most boxes when all the dots are connected. One player comes up with a word or phrase and makes dashes to indicate each letter, leaving spaces where appropriate. The other players take turns guessing letters they believe are in the word or phrase. Each time the players guess a correct letter, that letter is written on to the dashes in the appropriate spots (if the letter occurs multiple times in the word or phrase, all are written in). Each time the players guess an incorrect letter, a body part gets added to the hanging man (head, neck, left arm, right arm, body, left leg, right leg). Players must try to guess the word or phrase before the hanging man’s body is complete. This is a great game for a travel-sized dry erase board or chalkboard. Another great game for a travel-sized dry erase board or chalkboard. You know the drill–One person picks “X,” the other picks “O” and the goal is to get three in a row. Create a list of items that you usually see while traveling and give a copy of the list to each child so they can look for them and mark them off during the trip. Best played on graph paper or on a pre-printed form. Each player labels their rows with letters and the columns with numbers (or vice versa as long as both players do it the same). Each player draws their “ships” in the form of rectangles of various (but mutually agreed upon) sizes in random locations on their grids. Players take turns guessing coordinates to try and “hit” their opponent’s ships. The winner is the first person to sink all of the other person’s ships. In this 2-player game, a piece of paper is folded in half and creased, then unfolded and laid out flat. Each player draws circles on their half of the paper in random locations. The size and number of the circles doesn’t matter, but must be the same for both players. Players take turns trying to “hit” their opponent’s circles by marking a small spot on their half of the paper, that when folded over (at the crease made at the beginning of the game) will land in one of the circles. The first player to hit all of the other player’s circles is the winner. Each child can make his or her own or everyone can share one. Everyone takes turns being the fortune teller (i.e. holding the cootie catcher and doing all the counting). For instructions on how to make a Fortune Teller/Cootie Catcher, go here. Or print off this printable fortune teller. Most of these games are available to print at kidventurous.com and momsminivan.com. Give your kids 25 cents in pennies or tickets (for printable tickets from momsminivan.com, click here) at the start of the trip. Each time they fight or whine, charge them a penny or ticket. If they can manage to keep ALL of their pennies/tickets during the trip, offer a bonus like a small gift or cash bonus. If it’s a long trip, you can also offer incentive bonuses along the way, like getting to choose a snack during pit stops if they haven’t lost any pennies since the last stop. 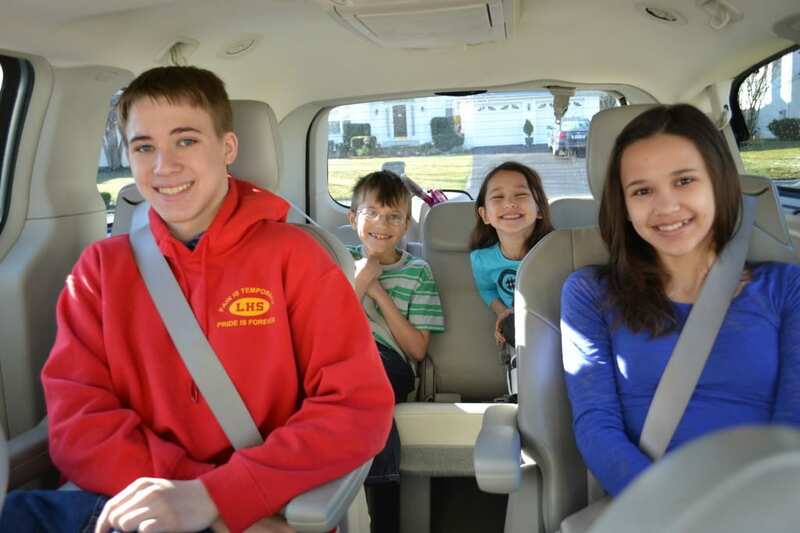 I hope these ideas help you and your family survive your next road trip with more smiles than tears. Safe and happy travels! These travel tips are really a saver for me. I have 2 kids who easily gets bored when we travel long distance! I am now one of your avid readers, love all your tips..
Luckily my boys get along and we play a lot of those games, some I have not thought of so will be using them for our vacation in December. Thank you for sharing. Long travels are sometimes boring. This ideas of games are good. She is definitely brave. I drive 20 minutes with my kids in the car and they can give me headache on the spot. I admire moms who can bear the arguing and fighting and crying while they are driving. I can’t..
i used to play some of these games as a child who traveled all over the USA. Brings back memories and reminders! Lol love this post, there’s nothing better than good old fashioned interactive games, so sick of children, even my own, sat in front of xboxes etc. We love playing the alphabet game when we’re in the car. This is a great post, thank you , we usually do some of these but there are a lot I had not heard of. We will for sure use them on our next trip.. I may even print this page hahaa Thanks! ooh! I like the incentive bonuses, we will be using that. Also, I’ve never heard of the Missile launch game, that sounds fun too. I used to play missile launch all the time when I was in elementary school but no one else seems to know what it is. Maybe I dreamed it? We’re trying the ticket incentives this summer. Fingers crossed that it works!